In 1997 Wendell Alexander was running his successful Nova Uniao school at Mello Tennis Clube. He had over 100 students. But he wanted to expand and open another location in Campos, which is about 175 miles from Rio de Janeiro city. It was at this time that he asked Marcelo, then only a brown belt, to take his place as head instructor. Being that Marcelo had not yet received his black belt, it was an unusual decision, but one that reflects his confidence in the teaching skills of his student. - Gilberto Santos: National Champion. World champion, blue belt. - Otavio Vianna: Three time national champion. Second place world champion. At blue and purple belts. - Bruno Pereira: World champion, blue belt. - Bruno Sena: Two time world champion, blue belt. World champion at purple and brown belts. 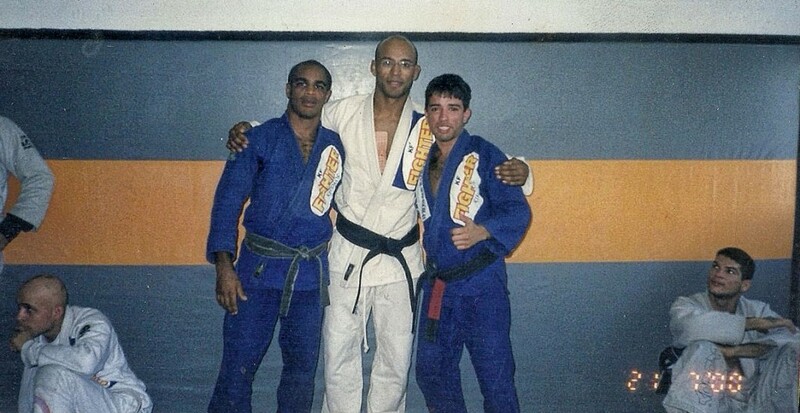 Marcelo first visited Florida in Febrary of 2002, to present a Brazilian Jiu-Jitsu seminar given in Naples, Florida. 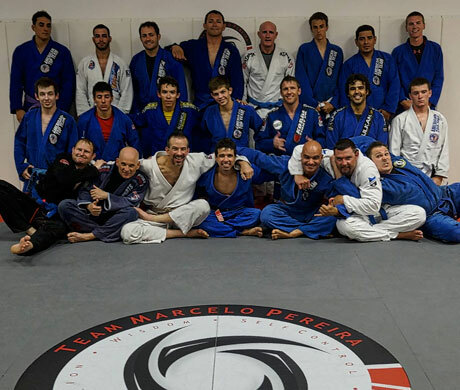 The seminar had a large turnout, which surprised Marcelo, and piqued his interest in the area. In 2004 and 2005 Marcela was back in the area, this time to give instructional seminar to the Fort Myers and Naples police departments. In 2006 Marcelo returned, this time with his then fiancee, Alini. He brought her in order to see if she might want to move here. She agreed, and they made plans to apply for residency papers and made the move. In 2007 Marcelo taught BJJ in a local mixed martial arts school. In 2010, he founded Team Marcelo Pereira. "I want to keep the traditional martial arts spirit alive in my gym. My gym will never be just a business. I don't want to lose sight of the self-defense aspect. The sport of Jiu-Jitsu is beautiful, and there's nothing wrong with competition, but we cannot lose sight of the real martial art. We cannot lose that." Have questions? Want to check out the school or try a class? Send us a note.